Get ready to order your burgers and fries at Wendy's using a kiosk. The Ohio-based fast food company has disclosed it plans to install ordering kiosks at 1,000 locations by the end of the year. According to the Columbus Dispatch, David Trimm, Wendy's chief information officer, revealed the kiosk plan last week to investors. Trimm says the push for the machines is coming from franchise owners, who view them as a way to cut labor costs and improve customer service. Wendy's and Burger King are two fast food franchises that normally have customers form a single line, with often just one cashier taking orders. Trimm says the plan is to install three ordering kiosks in each store, with more allotted for high-traffic locations. While the company acknowledges the ordering kiosks are mostly preferred by younger customers. For older customers who don't like the machines, Wendy's says there will still be the option of ordering at the counter. 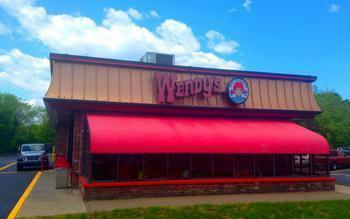 Wendy's is far from the first food service business to embrace ordering kiosks. McDonald's has been experimenting with the concept, especially in Europe, and has signaled it's a direction it plans to take. Investor's Business Daily noted nearly a year ago that Wendy's has been among the most enthusiastic about the technology. It noted that many of the company's franchise-operated stores are in California, where the minimum wage has risen to $10 an hour and is on track to reach $15. If you've been to a Panera Bread lately, you know that the fast-casual chain has already installed ordering kiosks at many of its locations, even though it is still taking orders at the counter. "If you're making labor more expensive, and automation less expensive — this is not rocket science," Andy Puzder, the CEO of Carl's Jr. and Hardee's, told Business Insider last year. You'll remember that Puzder was President Trump's first choice for Labor Secretary, but bowed out under pressure, in part for his gleeful embrace of labor-saving technology. In 2014, after the Obama White House proposed a jump in the minimum wage, Puzder penned an op-ed in The Wall Street Journal warning the move would speed up the automation process in the restaurant industry.